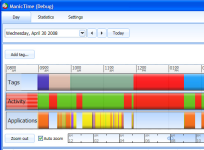 ManicTime is a software utility which was developed specifically to help people maximize their productivity during work hours, by monitoring PC usage and generating a large number of statistics. The first tab enables you to view graphical representations and lists of all the applications and documents you are using, along with exact start and end time, and total duration. 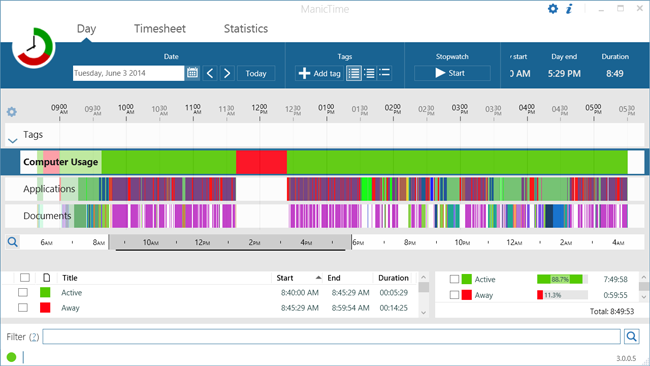 ManicTime will allow you to use automatically recorded past events to accurately track how you spend your time on your projects. 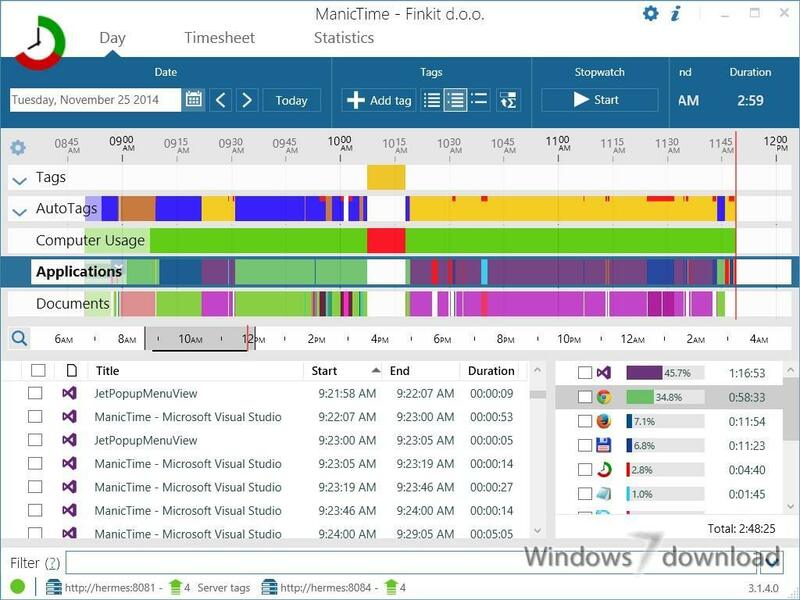 With ManicTime you'll be able to monitor the PC usage and track the most often used applications. 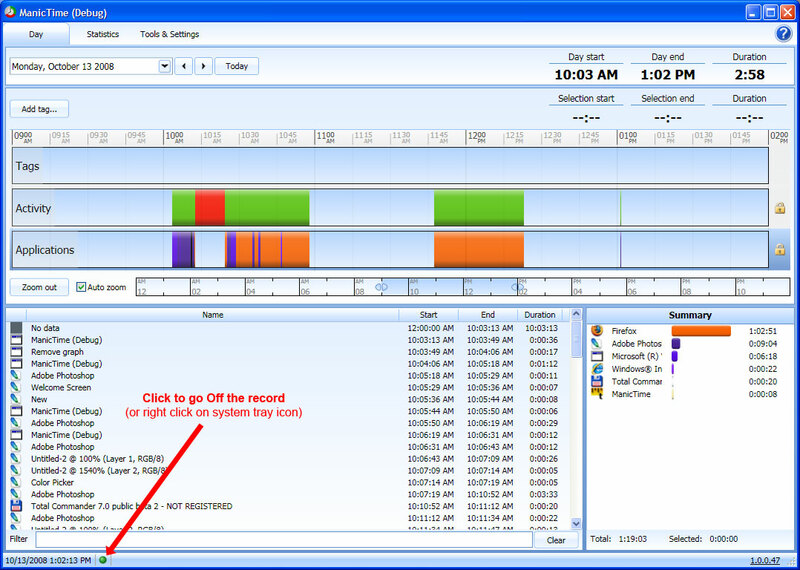 ManicTime is a software utility which was developed specifically to help people maximize their productivity during work hours, by monitoring PC usage and generating a large number of statistics. The first tab enables you to view graphical representations and lists of all the applications and documents you are using, along with exact start and end time, and total duration. This way, you can see which programs you are using the most, and how much time has been dedicated to one single project. You should also know it is possible to add tags, so that you can input the task you are performing. 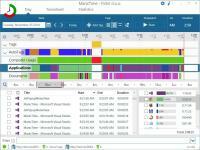 With comprehensive and well-organized Help contents, minimal usage of CPU and memory, good response time, backup and restore capabilities, ManicTime proves to be a useful piece of software when it comes to increasing your productivity. All ManicTime reviews, submitted ratings and written comments become the sole property of Windows 7 download. You acknowledge that you, not windows7download, are responsible for the contents of your submission. However, windows7download reserves the right to remove or refuse to post any submission for any reason. 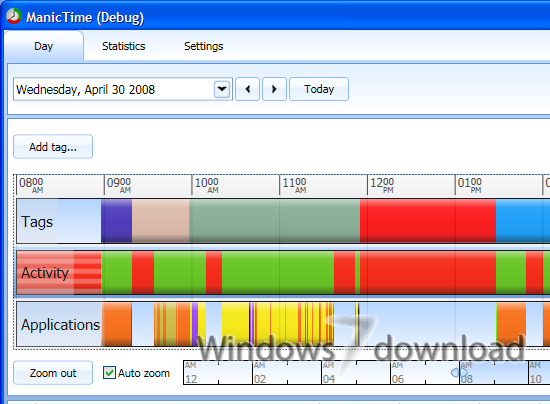 Windows 7 Download periodically updates pricing and software information of ManicTime full version from the publisher, but some information may be out-of-date. You should confirm all information. Using warez version, crack, warez passwords, patches, serial numbers, registration codes, key generator, pirate key, keymaker or keygen for ManicTime license key is illegal and prevent future development of ManicTime. Download links are directly from our mirrors or publisher's website, ManicTime torrent or shared files from free file sharing and free upload services, including Rapidshare, MegaUpload, YouSendIt, SendSpace, DepositFiles, DivShare, HellShare, HotFile, FileServe or MediaFire, are not used.